We are crazy about Bollywood. In fact, Mumbai is Disney World for us. And if Mumbai is Disney World, then Bandra is the “Indiana Jones” ride for us. After all, all mega star Khans live in Bandra! Talking about Khans, we passed by Shahrukh Khan’s Mannat the other day. 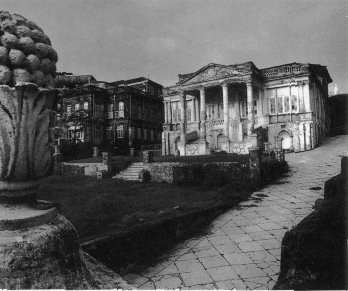 For those of you who don’t know the background about Mannat, it is a heritage building and cannot be demolished…ever! Apparently SRK put millions or billions of some ungodly sum of money to restore the heritage building. And then he acquired more land and kept building till there was no more land around him to acquire. Anyway, back to the story…both of us love ranting about how senseless SRK movies are, and how he milks the imagination (or lack thereof) of the audience, but we have to admit that we were hoping to see a glimpse of SRK then. We were not alone with that ultimate “hope”- there were hundreds standing outside his gate. Suddenly someone shouted, “SRK will be here in 15 minutes.” People then started running from one direction to another- as if SRK were already there! 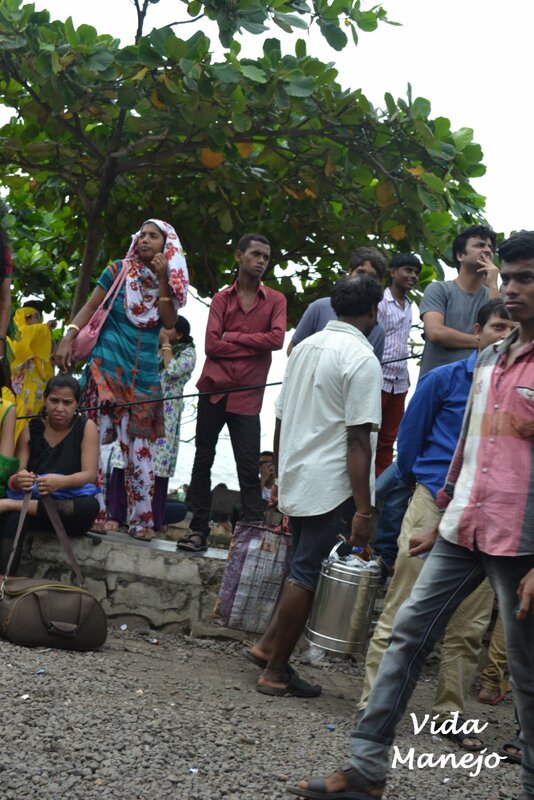 When SRK did not turn up after waiting for 15 minutes, people started getting restless. Some, including one of us, decided to approach his guard and ask if SRK was around. The polite guard asked us to leave as SRK had gone to Delhi. We decided to leave, however, there were fans who decided to wait because they did not believe the guard. An enthusiastic fan – probably a 16 year old accompanied by her boyfriend, was seen begging the guard for some revealing details about SRK. Questions about SRK’s favorite color, favorite food were asked and ignored! She didn’t give up, she went looking for SRK towards the side enterance. His alleged makeup van (more like a tour bus) was parked on the side, and she was immediately asked to step back by the enormous guards. When one waits, she / he might get hungry and thirsty. And there was a chai-wallah wandering around SRK home. We asked if he had seen SRK, he replied “Bahut baar madame, kuch bhi nahin (Many times, Madame. There is nothing special). Nonetheless, he is happy that he can sell his chai to SRK fans. We waited a good 30 minutes before we gave up! There were many other who stayed on despite the overcast Monsoon skies! Here’s a picture of a 100 year old Mannat!